These days WhatsApp is becoming common chat platform among all, You should know what you are sharing in WhatsApp among all people. Everybody can watch you on whatsapp, who have saved your number in their devices. 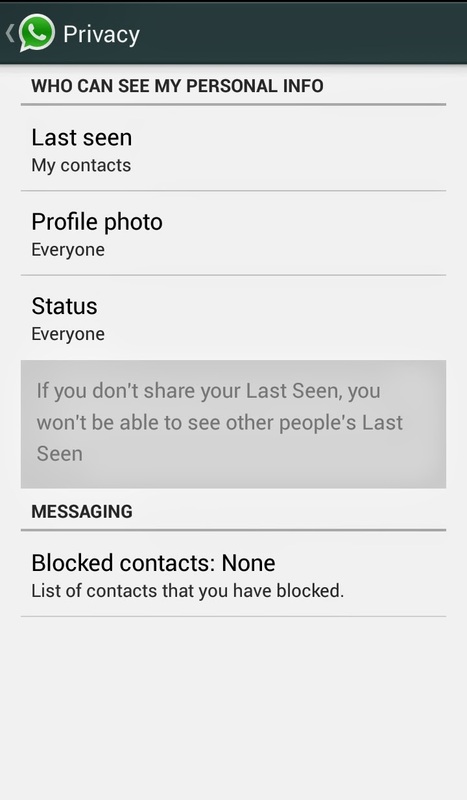 But in WhatsApp privacy option you can set what to display to whom. First of all go to settings, then switch to account. Read that highlighted text, if you share your Last Seen with nobody, You won’t be able to see others Last Seen. 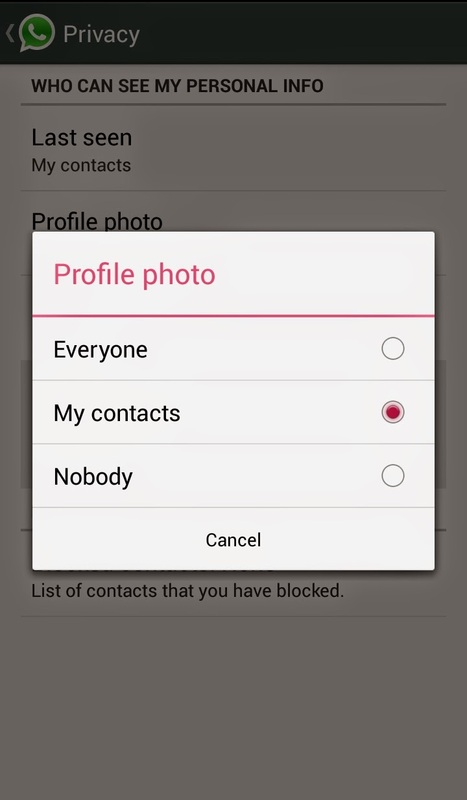 If you set your visibility to my contacts it will be only visible to your saved contacts, it will not shown for those who have saved your number but you don’t save their number.